We have no time to get this wrong. Since the BP disaster, hundreds of thousands of birds have lost their lives, and tens of thousands of endangered Kemp's Ridley sea turtles died in 2010 alone. But we can restore their habitat, and protect these vulnerable creatures—if we think big and make sure we're leveraging restoration dollars. The RESTORE Council recently made an important step, and approved its first Funded Priorities List—a small-scale compilation of restoration projects and programs the Council will fund with Transocean's fines. But if we're going to achieve true, comprehensive restoration, and coordination with other funding streams, the Council will need an updated Comprehensive Plan, including a science-based process for prioritizing future projects, focusing on large-scale proposals. Take Action: Ask the RESTORE Council to update its Comprehensive Plan to ensure the best decisions are made for Gulf restoration. Please ensure restoration funds are put to the best possible use. 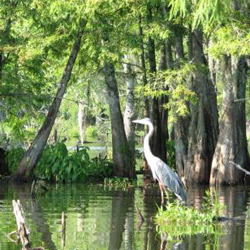 The Gulf Coast Ecosystem Restoration Council has taken on a critical task for the future of the Gulf, its wildlife and people. Over the coming years an unprecedented amount of funding will flow to the Gulf for ecosystem restoration. Maximizing this opportunity will require a strong vision, thoughtful planning, and coordination among decision-makers. We look forward to your leadership in developing an updated Council Comprehensive Plan that sets forward an inspiring vision for a restored Gulf, measurable objectives, and a commitment to a science-based project prioritization process, grounded in the criteria set forth in the RESTORE Act. With funds from the BP settlement anticipated in early 2017, it is essential that the Council move forward swiftly to get a new Comprehensive Plan in place. We look to your leadership to make that happen. Thank you for assuming this important role at this critical moment for restoration of the Gulf Coast.